In a world where sorcerers and kings walk, there is the legend of the Shifter. It is said to be formed from the mist and fog and can choose to change forms. For centuries its purpose has been to protect the royal family at the cost of her life, returning to her home, Mistwood, in times of peace. When Prince Rokan summons Isabel from Mistwood, she cannot remember anything. So without any choice she keeps to the loyalty she has known from the beginning. But Isabel has a problem not only does she not remember anything, she cannot shift. Secrets pile up between the king and his Shifter. When one is revealed everything comes crashing down. Isabel must decide where her loyalties lie and who exactly she is while facing the dangers that come with being an immortal bodyguard. The Good: This novel was an exciting, unique read that I enjoyed thoroughly. It was very different from the average paranormal novel. It first and foremost did not have romance as a main focus. But surprisingly, as a romantic, this did not bother. I actually preferred it this way. The fantasy aspect was also refreshing because many novels do not contain this. The time period it took place is one I have been interested in years. I have always loved kings, princesses, knights, castles. But if you do not like period novels this story is not for you. I would like to commend Cypess on is writing a single novel. It seems lately everything I read has at least one sequel if not more. Don’t get me wrong I love series, but I think it takes a lot more talent to write a stand-alone novel that has enough of a plotline to keep you reading but does not leave too many unanswered questions. In Mistwood it was very well done. The Bad: One of the things I love best about period novels are the dialect; big words and fancy wording. I found several line of dialogue to be a bit modern to flow in this setting. This, for me, took away from melodic flow of Middle Ages’ speech. One thing I never take too much notice in is the titles of books. But for some reason this one bothered me. 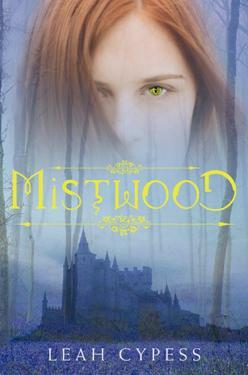 I can’t be too critical because whenever I have to title something I cringe but the title “Mistwood” had little to do with the novel or plotline. Only three scenes (chapters) took place here. I feel another title may have been more appropriate. The Ugly Updates: The link for Leah Cypess's website is in my right sidebar. She has some short stories and other books about shapeshifters she recommends. There is no word, as of now, on any more novels by Cypess. Hope everyone has a great week and an amazing Independence Day Weekend! This week I'm going to be talking about the pro and cons of series and stand alone novels. Marginally, I prefer stand alones over series. I think it is much harder to write a stand alone. To make a story interesting and intriguing and have a large climax but yet get everything wrapped together in about 300 pages is not that easy. I'm assuming. But I think if you write a series you never need to have a set conclusion till the end of the series which is usually a minimum of 3 but can be 7-10. Another reason I love stand alone novels is with all the books I read it is so hard to keep series separate. And I don't always have time to reread the books before the newest book. And books like the Private or Pretty Little Liars have so many books and twists. Plus its sometimes almost a year since I read the last book. Its very hard to keep everything straight. And also very frustrating to be confused. There is also ways to tastefully do series. I love series that each book has a definite conclusion and that you would be fairly satisfied if the series ended there. Examples of this are The Mortal Instruments and Twilight Saga. Don't get me wrong I love to read series they just frustrate me somewhat. So what do you think? Which do you prefer? What are your favorite series? Leave your thoughts in the comments! As the Darkest Powers series comes to a close Chloe and her friends must find out what secrets their society of supernaturals, specifically the Edison Group, is hiding. Chloe and her friends have had one heck of a week, after running from Lyle House and then the Edison Group they have finally found a place where they are safe. At least for now. As Chloe, a ghost seer or necromancer will exceptional powers, starts to uncover the secrets of the house they are staying in and the people they are beginning to trust. The group, Simon, Damon, and Tori, must decide who is telling the truth, while dealing with the uncertainties of their accelerated powers. Friendships and loyalties are tested as traitors are revealed. Ultimately, Chloe and the rest must find a way to overcome their differences and figure out the story behind all the secrets. 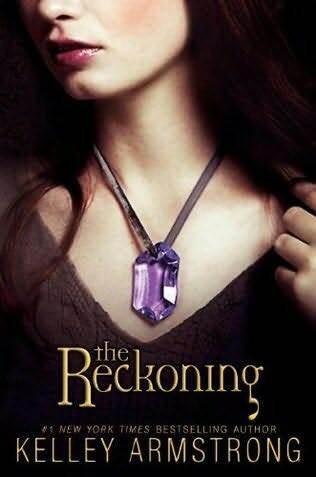 The Good: The Reckoning is an exciting, action-packed conclusion to a series I have enjoyed immensely. Chloe is an ambitious, stubborn, witty character that makes this story come to life. Damon, on the other hand, is loud and overbearing, but is always trying to put others first. Both of their inner struggles develop them into dynamic, relatable characters that are a joy to read. This story continues to unravel and then form new secrets and twists that keep you turning the pages. And though the first two novels had little romance this one does. And let me just say it’s intense. Romantics will not be disappointed. The end of the story is wrapped up very nicely leaving no loose ends unanswered, which most people enjoy at the end of the series. Overall this novel has good flow and style with adventurous characters and enough twists to keep our minds guessing. The Bad: This novel was very hard to find something negative about it. I found a certain decisions made by the characters unrealistic, even for a paranormal novel. But this novel was my favorite of the trilogy and was an interesting, suspenseful read. The Ugly Updates:You can find Kelley Armstrong's website in my right sidebar. There is also a site dedicated just to the Darkest Powers series found here. You can find some pretty awesome things like short stories related to the series, Armstrong signings, and discussion forums. Check it out! Armstrong's new series for YA, Darkness Rising, will begin April 11, 2011 with The Gathering. Can't Wait!! As Rose Hathaway’s story continues in Spirit Bound, she confronts danger, adventure, and love. At the end of Blood Promise we found Rose back at school, after several months in Russia hunting for her lover turned Stroigi. Her failed mission has put her at his threats to find and kill her as soon as she leaves school grounds. But Rose finds herself on a wild goose chase trying to hunt down a rare spirit user who might have changed a Striogi back. And on top of this Rose is still waiting for her guardian assignment. After her dropping out of school and getting into fresh trouble it is looking less and less likely that Rose will be able to guard her best friend, Lissa. The New York Times Bestselling series continues to bring suspense, action, and laughs in the fifth novel. The Good: Rose, whose point of the story is written, takes us on another exciting, thrilling adventure. Her guardian “always in action” personality makes her take on the story interesting. I also enjoy when Rose goes inside Lissa’s head through the bond and comments on what she is doing. Rose is always very passionate about everything she does. It makes the novel refreshing and intense. Spirit Bound does not disappoint in the twists and secrets that the previous four novels had. The story is always actively moving, not just stagnantly waiting for the “big climax” to come. This means you won’t be able to put the book down. The Bad: This contains one of my worst pet peeves: Cliff-hanger endings. I feel that books in a series should have a definite conclusion, while leaving some loose ends; because it is, of course, a series. Huge cliff-hangers, like the one in Spirit Bound, make me very annoyed. The other thing I disliked about this novel was the placement of the climaxes, I felt that the first came too early (almost the middle of the story). The second came too close to the end, leaving cliff-hangers like I stated earlier. The Ugly Updates: This is Mead's 5th book for young adults. She also has several for adults. The 6th and final book in the Vampire Academy Series, Last Sacrifice, comes out December 7th, 2010. Author Website in Right Sidebar. Books on Amazon: Vampire Academy, Frostbite, Shadow Kiss, Blood Promise, Spirit Bound, Last Sacrifice. Hey everyone! Hope you're having an amazing Monday. Phew! So glad my first week is over now onto lots of more fun and reviews. And today is the first day of summer which makes me very excited. But enough chit-chat, onto the update. No new books this week. Have to work on my mile high pile first. I just want to thank all of my 18 19 followers! You guys rock. Thanks for reading and commenting! On a final note I'm hosting a contest in July. Comment and let me know what awesome books or other prizes you would love to win. 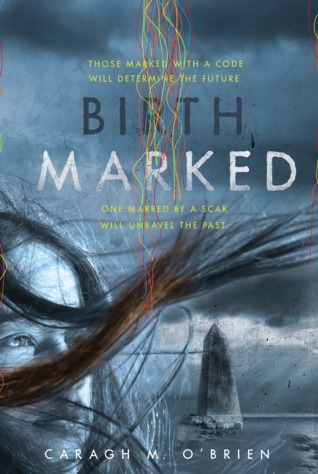 In Western Sector Three, Gaia lives with her parents, permanently marked an outcast because of the burn mark on her cheek. She faithfully serves the Enclave every day, helping her mother deliver babies and then delivering the monthly quota to Enclave where the advanced babies will grow up with many privileges Gaia never had. When her parents are arrested, accused of the worst treason, she begins to suspect the very people she has served every day. Gaia decides to do something no one has ever done before, go inside the Enclave's walls. She soon discovers not everything is perfect in paradise. As Gaia uncovers secrets and truths about the life she's lived and the people she serves, she must question everything she knows. Good: This novel was so intriguing. I couldn't put it down. This was the first novel of Caragh O'Brian's that I have read and I was absolutely floored. She knew exactly when to reveal secrets and when for key events to be placed in the plot line for the story to flow perfectly. It was fast-paced but not confusing. The themes of loyalty and trust were spun in efficiently and effortlessly. Bad: For me endings always seem to be my least favorite part of novels and where I find my largest critiques. This one seemed very abrupt. Almost so much that I kept flipping through the last pages wondering where the ending was, the conclusion. I also found some events throughout the novel to be predictable. I love to be surprised in a novel, having many twist and turns. The big events however where not predictable and it still had many secrets and surprises. Ugly Updates: As of now there is no information about a sequel, though I certainly would expect one after the cliffhanger ending. O'Brian has written several novels for adults but this is her first for young adults. In general, most prologues bother me. In all the books I've read I’ve seen three different types. One, it describes an event in the middle of the story. The prologue scene may appear in the book (Books 1-3 in Dark Guardian Series) or it might just be an extra tidbit (Twilight Saga). Two, the event takes place in the past and gives the set-up or background story. These usually start the first chapter with a year or x amount of days/weeks/years later. Three, the event takes place right before the first chapter in almost chronological order. These are usually in a different point of view that the normal chapters. What bothers me the most about prologues is the spoiler nature of some of them. Type one is the worst. I don't flip my book to the middle read a page and then start the book. But that is what they are basically doing. I feel that these types of prologues are big wastes of paper. We know there is going to be action; at least we hope there will be. Since these prologues do not enhance the story in any way, there really is no point in including them. Type two I have a love-hate relationship with. In some cases they are essential to the story, but in others, they are not. In most cases I feel that in the first chapter when you are getting to the character it could be used as a memory, eliminating the prologue altogether. But in other cases (like The Body Finder), a prologue is acceptable. I think type three is the only really acceptable prologues. I am assuming authors put the scene as a prologue so as to not cause confusion and I understand this. Cassandra Clare's City of Ashes tastefully does the type three prologue. The only complaint I have is it’s a bit long for prologue. Overall I feel that prologues should be short backgrounds or other information that is essential in the story. All prologues should be absolutely spoiler free. Now its time for you to share your thoughts. Do you like prologues? Which type(s) do you find acceptable? What are some examples of good usage of prologues? Bad usage? Trey LaPorte woke one morning to find many things amiss. One, he never remembered going to bed, two, every part of him ached tremendously. Also him room was trashed to the extreme; it looked like a tornado had ripped through his room again and again. And most traumatically his favorite new shoes which he had saved months for were totally shredded. Trey doesn’t think his day can get any more strange, when a mysterious man comes to Trey’s group home claiming to be his uncle, but Trey knows he doesn’t haven’t any family not after his grandmother died 3 years ago. This man claims to have answers for him. But Trey must ultimately decide whether or not to trust this man with the strange eyes and get the answers to his questions. What happened to his parents, what secrets this man is hiding, and scariest of all, what he is becoming? The Good: The opening scene of this novel was overall intriguing. It kept pulling you farther into those first pages. It story had good pace towards the beginning keeping you drawn in by answering long standing questions. The world created by author, Steve Feasey, was unique, mysterious, and compelling. Trey the main character is very relatable and kind. The internal battles he goes through are written beautifully. The minor characters, as well, have well developed personalities. The occasional humor is not out of place. The novel overall was a enjoyable read. The Bad: I felt the middle of this novel drug out a little long. Also the major conflict seemed almost too convenient. Almost like it was thrown in just to have a conflict. But all the same it was action-filled. The ending of this book also laid out the sequel almost too perfectly. It stated the basic story sequence and this killed some suspense. 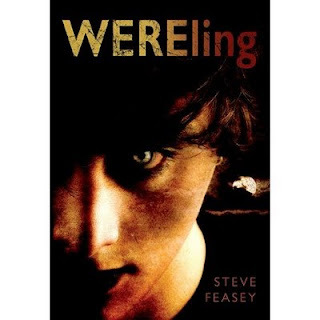 Ugly Updates: Steve Feasey has 4 novels in his Changeling series, all published in the UK. 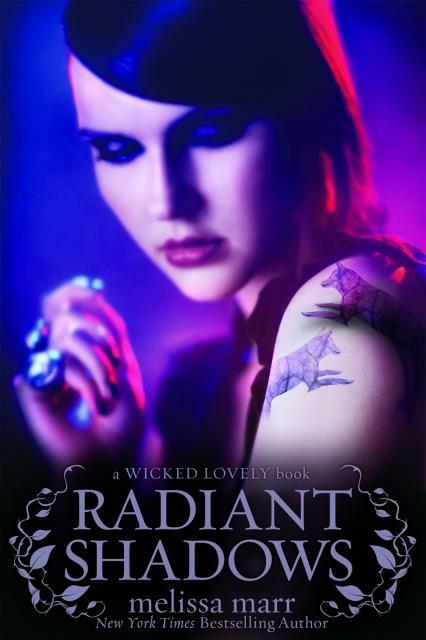 In the fourth installment of Rachel Hawthorne’s Dark Guardians series, we meet Hayden, an empathetic werewolf who can hear others feelings. A mysterious beast arrives in Wolford, the Shifters’ beloved safe haven, and kills a fellow Dark Guardian. He also promises to return on Hayden’s first full moon to take her as well. So Hayden runs away. But as her full moon approaches she must decide to accept this dark, handsome guy who has volunteered to be her mate or risk dying by going through the transformation alone. While dealing with the threat to her life and her strange, prying ability. The Good: Rachel Hawthorne did another fantastic job of showing us the love and danger in the Dark Guardian’s world. Though each of her novels are similar, they are also surprisingly unique. Hayden provided us with new look on the werewolf community just as the other main characters did in previous books. I enjoyed the suspense that kept building throughout the book. And Hawthorne’s characters, both main and minor, have such glowing, refreshing personalities. The best part about her novel is the romance. She combines the perfect balance of conflict and fluffiness to give us a dynamic, interesting story. The Bad: This novel, like the others, leaves a lot to be desired in the conflict aspect. When the fighting scenes come around they are a bit uneventful and seem to be over very quickly. Hawthorne also makes decisions for her characters that I find unrealistic, in spite of the paranormal aspect. 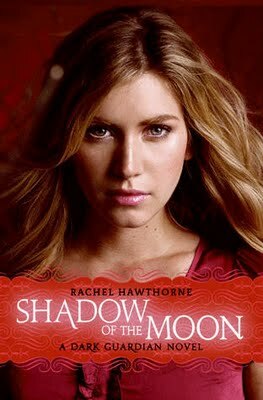 Ugly Updates: Rachel Hawthorne has written many novels for both YA and Adult. As of now there is no word on a Dark Guardian book #5. Here are reviews for Moonlight, Full Moon, and Dark of the Moon.